Since we began housing donor-advised funds (DAFs), Stonewall has always made sure that our community’s dollars are funding progress, not hate. Each grant we award is in line with our mission and purpose. 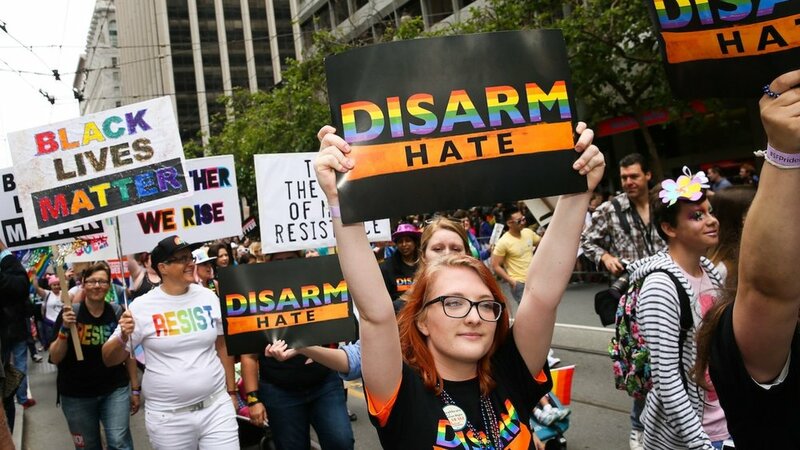 In recent months, a movement has been growing to speak out against large corporate-sponsored charities who allow their donors to recommend grants to organizations that actively fund hate. For context, in just the three years between 2014-2017, nearly $11 million flowed from the nation’s four largest corporate charities to various anti-LGBT, anti-Muslim, and anti-immigrant hate groups. To respond to this growing problem, we’ve joined forces with other community organizations to address this issue. In coalition with a number of other DAF providers, Stonewall Community Foundation has signed its name to the “Hate is Not Charitable” campaign, an open letter pledging to ensure grants do not go to organizations designated by the Southern Poverty Law Center as hate groups, or other organizations that exist to further the oppression of LGBTQ people, communities of color, immigrants, and other marginalized groups. We are proud to sign onto this important movement work, and take seriously our responsibility to safeguard our community and its resources. For more information on the problem, and the Hate is Not Charitable campaign, check out this recent report by Sludge.